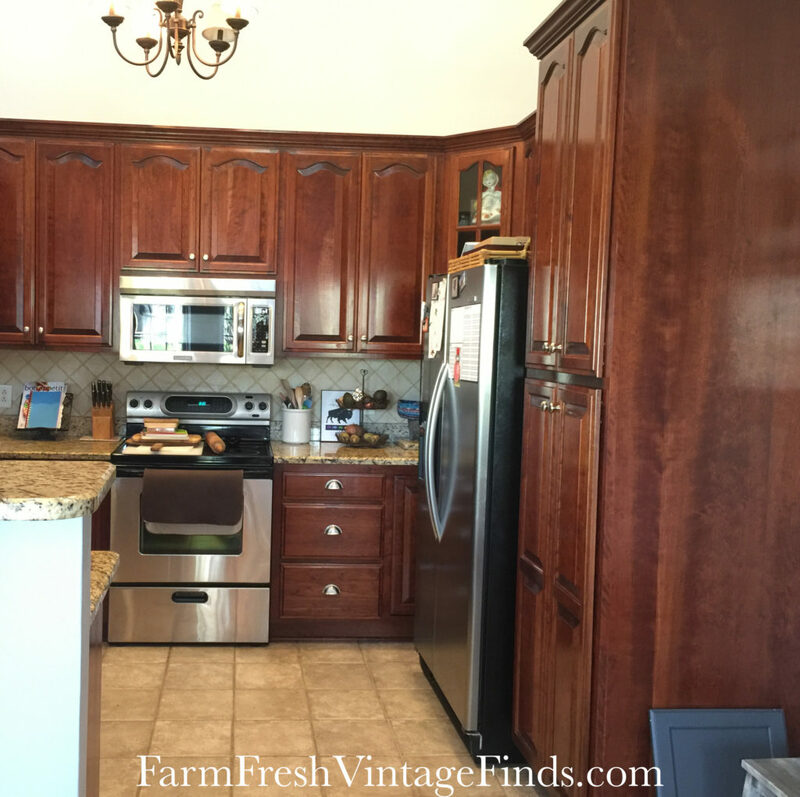 Fantastic kitchen cabinet makeover by Farm Fresh Vintage Finds! Farm Fresh Vintage Finds say, "My favorite paint for cabinets is General Finishes. It’s self priming and bonds to almost anything. It comes in several amazing colors. For this kitchen, my client decided on Queenstown Gray. As you can see painting the cabinets completely transformed this kitchen! Would you like to have your cabinets painted? We serve most Middle TN and would love to work with you. Email us at farmfreshvintagefinds@gmail.com for more information. See you soon!" 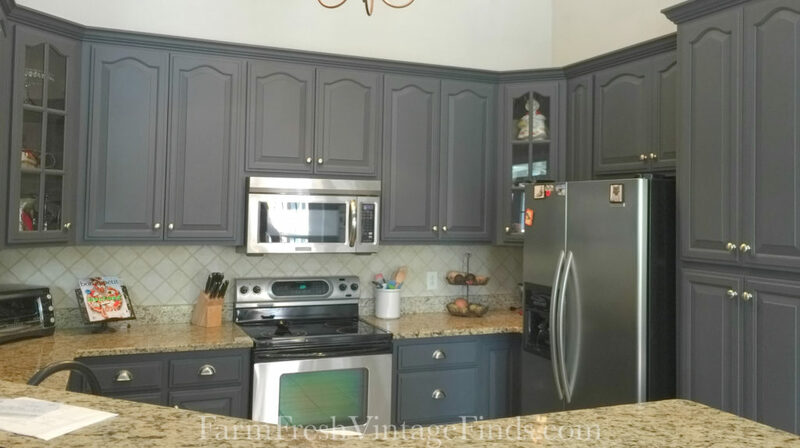 See more pics of this gorgeous kitchen at http://farmfreshvintagefinds.com/paintingkitchencabinets/ For added durability, the cabinets were topcoated with GF's High Performance Topcoat in Satin.